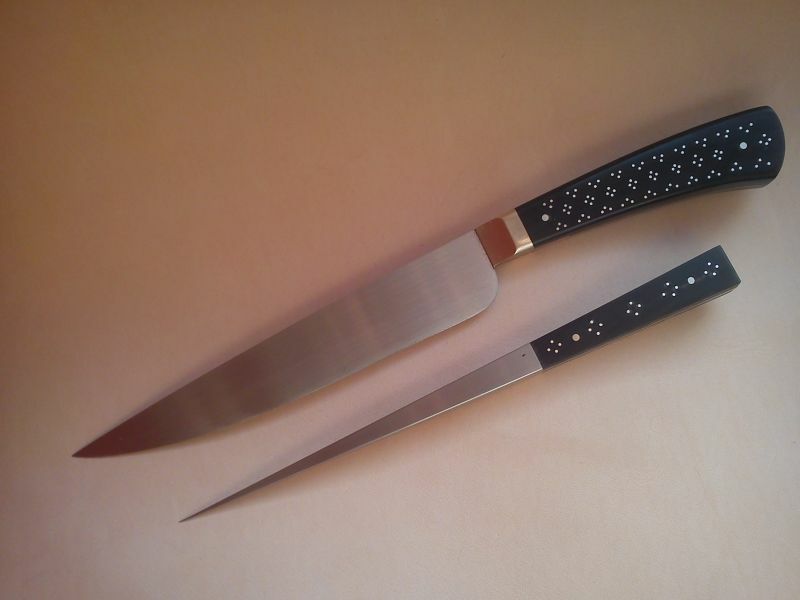 Forum Index > Makers and Manufacturers Talk > For Sale: Eating set, XV century, buffalo & silver. Posted: Wed 10 Dec, 2014 7:04 am Post subject: For Sale: Eating set, XV century, buffalo & silver. Two months have passed without any word from "customer" so it's for sale. 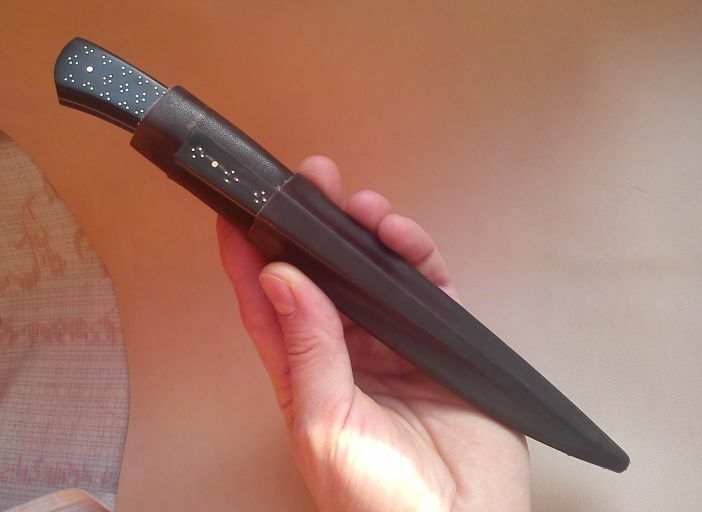 Knife: overall lenght 245mm, blade 145mm, 3mm thick. 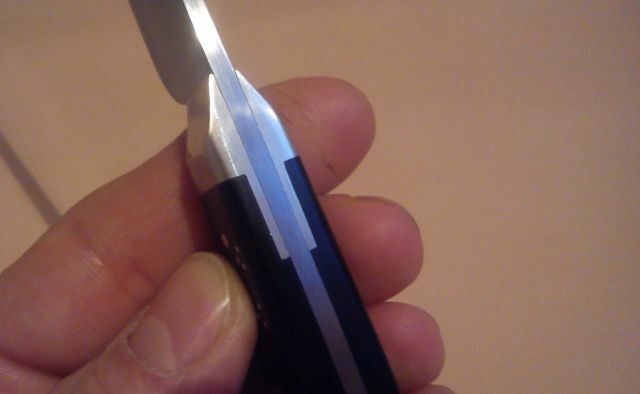 Pricker: ~180mm long, non hardened. A little price reduction. Considering high cost of shipping over the ocean I'm dropping 15£ off price- about half of the shipping. 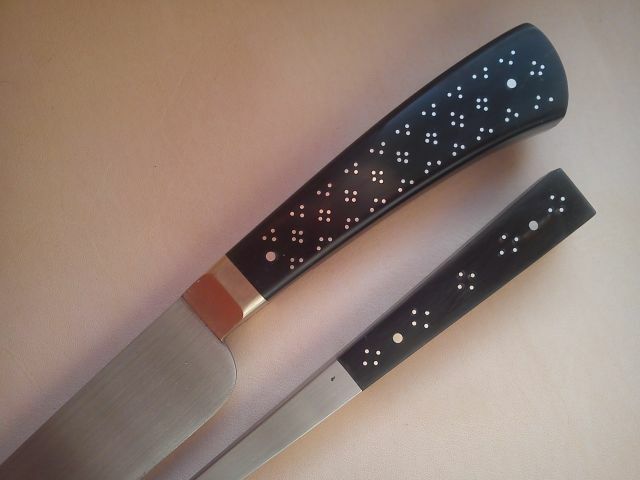 Plus I'll add a pair of aiglets to the scabbards lace- nice, bronze casted and silver plated. That's a really nice set, well done! I really like this but I'm not really in the market for a set with pricker. 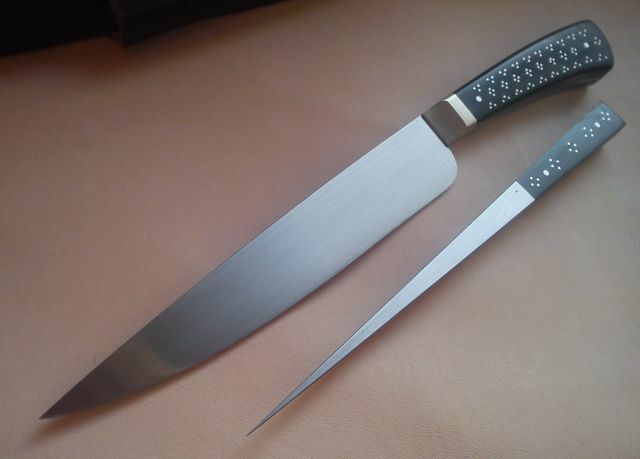 I can't see this sitting here unsold for much longer but if at some point you don't want to wait any longer and aren't opposed to splitting these two lovely pieces I'd like to see an offer for the knife alone. Great set, but I'm already having a complete eating set made... this would ultimately be a waste for me. I sincerely hope you find a buyer for this terrific set regardless.